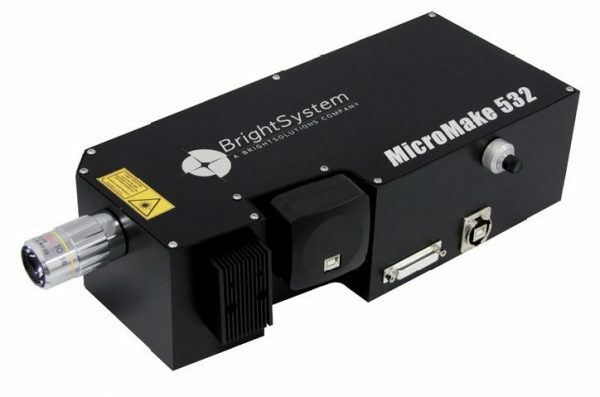 MicroMake 532 from Bright System is an integrated and compact laser micromachining system for high precision and resolution applications. The system includes all the needed devices for direct laser micro-processing in a single monolithic element. Live microscope imaging of the sample is offered during all process phases for alignment and immediate quality check. All these features are perfectly suited for a large variety of materials often used in the fields of microelectronic circuits, display fabrication and correction, biomedical device machining, and optical substrates microprocessing.